Traeger Grills is your one-stop shop for premium outdoor cooking and is partnering with affiliate management companies, Versa and AvantLink, to get ready for the upcoming grilling season. Traeger is committed to providing a quality grill that is easy to use at an exceptional value. Their grills operate as wood-fired convection ovens with a 6-in-1 versatility, so you can grill, smoke, bake, roast, braise, and barbeque any food to culinary perfection. 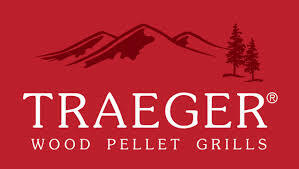 Traeger uses 100% natural hardwood which provides you with a tastier, healthier fuel alternative that infuses food with rich, hearty flavor. With spring officially just a few days away, do you have your grill ready? Traeger has everything you need to make this your most successful grilling season. Whether you’re using your grill as a smoker, grill, or wood-fired convection oven, Traeger offers all the right accessories to make the most out of your cooking experience. You can now customize your Traeger grill with a sleek new modern look when you purchase their stainless steel kits. These kits contain a grill lid, hopper lid, and smoke stack cap and are made for every size grill that they build. When it comes to shelving and organization, Traeger has you prepared. Whether you need a front folding shelf or a bottom shelf for storage, no need to look any further. They also offer extra grill rack inserts for maximum grilling capacity. Now on to the tools…Traeger creates only the best stainless steel products for you to use with your grill. They offer skewer sets, spatulas, sauce mops, basting brushes, bbq mitts and more! When it comes to monitoring your meat temperature, the remote probe thermometer will keep you updated as you continue to finish other tasks. For a simpler technique, you can always check out their regular meat thermometers. Who doesn’t like a juicy piece of meat? Check out their meat injector kit that allows you to add in whatever spices you like most; these sell out quickly so get yours today! The outdoor cooking season is upon us so get your Traeger grill today and join their affiliate program! All outdoor cooking, food, and grilling affiliates are encouraged to join today in AvantLink. This program offers affiliates a 5% commission with a 60 day cookie. Please visit Versa Marketing Inc. for more information on what services affiliate management companies offer. Ceramcor Works with Affiliate Management Companies to Make your Kitchen Look Good!